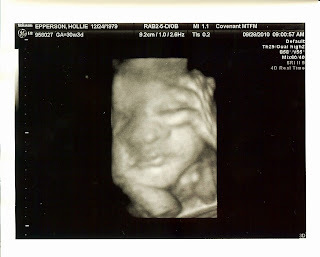 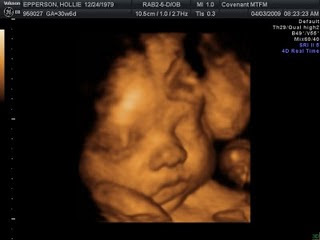 Lila was semi-cooperative during our sonogram this morning...allowing us to get a few views of her sweet face. 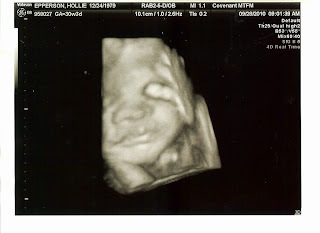 She has loved having her hands by her face, which provided a bit of a challenge for our sonographer. At 30 1/2 weeks, our baby girl is weighing in at 3 lbs 4 oz and appears to continue to be perfectly healthy! 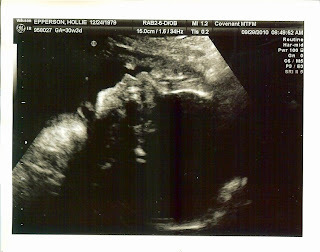 The sonographer even commented several times during our appt about just how "pretty" her heart is. 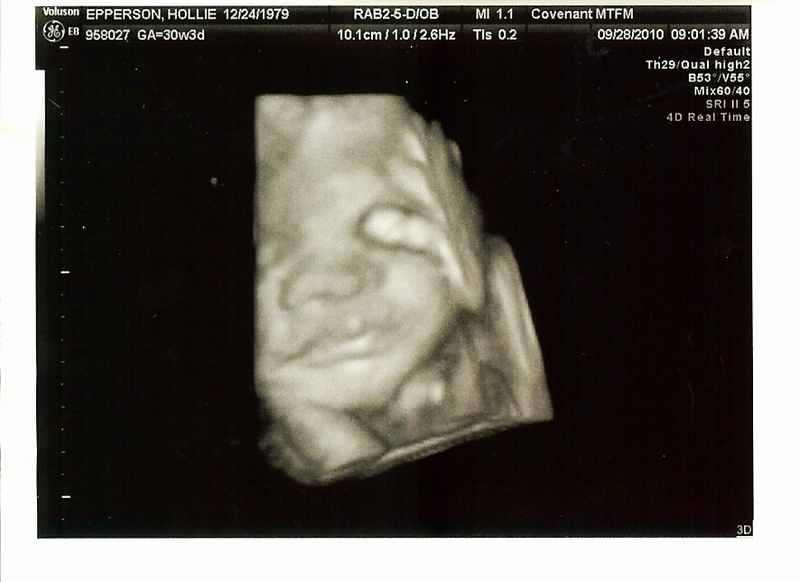 Just 8 short weeks to go!